Semi-truck collisions can be the most dangerous type of crash due to the size and weight of the truck. 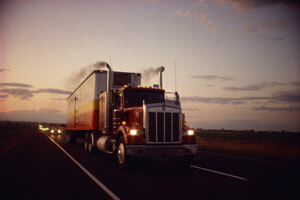 Semi-truck companies and their drivers have a duty to maintain and operate their vehicles in a safe responsible manner. This includes proper maintenance of the vehicle, background checks of commercial drivers, and obeying all traffic laws. If you are involved in a significant crash with a semi-truck, it is very important to get a qualified attorney retained as soon as possible so that they can investigate the case thoroughly and accurately. If you wait too long some crucial evidence may no longer be available. If you have already scheduled your free appointment, please fill out our Motor Vehicle Accident Injury Intake Form This will save you time when you come for your appointment.